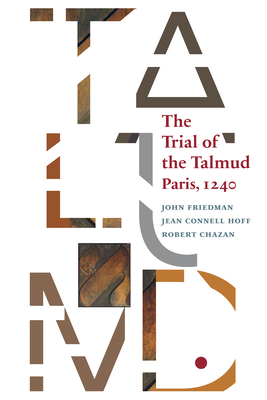 By the early thirteenth century, European Jewish life was firmly rooted in the directives and doctrines of the Babylonian Talmud. In 1236, however, an apostate named Nicholas Donin appeared at the court of Pope Gregory IX, claiming that the Talmud was harmful and thus intolerable in a Christian society. Pope Gregory sent Donin off throughout Europe in 1239 with a message to secular authorities and leading clergy: Donin's allegations were to be carefully investigated, and - if substantiated - the Talmud was to be destroyed. Only one European ruler acted on the papal injunction, the pious King Louis IX of France, who convened a trial of the Talmud in Paris. This unprecedented event is richly reflected in a variety of sources, both Christian and Jewish, here brought together in English translation for the first time.